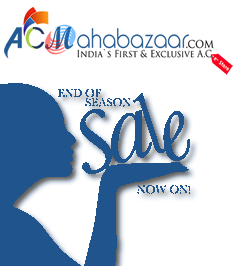 AC MahaBazaar, a retail division of E-Peripheral Sales & Services Pvt. Ltd., and is an online consumer electronic e- store dedicated to provide 360-degree HVAC shopping solutions to its customers. Launched with a mission to become one stop portal for all HVAC products and services required in India, we bring to our customer our more than 50 man years’ experience of providing cost effective Heating and Air conditioning services to corporate and institutional clientele. With AcMahabazaar we are determined to offer a happy shopping experiences to our customers by providing choicest of deal that comes with huge catalog of popular air conditioners available at best price, and with lot of freebies and services as value addition. With our unmatched collection of products ranging from big brands Voltas, Hitachi, LG, Lloyd, Samsung, etc. to affordable imported items from vast range of accessories and other product categories we strive to achieve our aim of becoming one of the leading name in air conditioning retail space. We already have experience providing PAN India service and supply of air conditioning and heating systems. 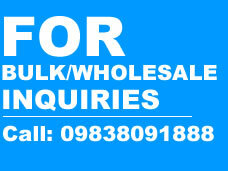 We already have offices in Lucknow, Patna, Delhi and Ranchi and operations in 20 + states of India. By 2015, we have plan to open 2- 4 physical retail outlets in few of the popular cities with high demand of air conditioning systems. The ACMahabazaar team comprises of professionals who are intrigued with necessary experience and are crazy for new ideas & Services. Regional Office - Patna, New Delhi, Kolkata, Dehradun.